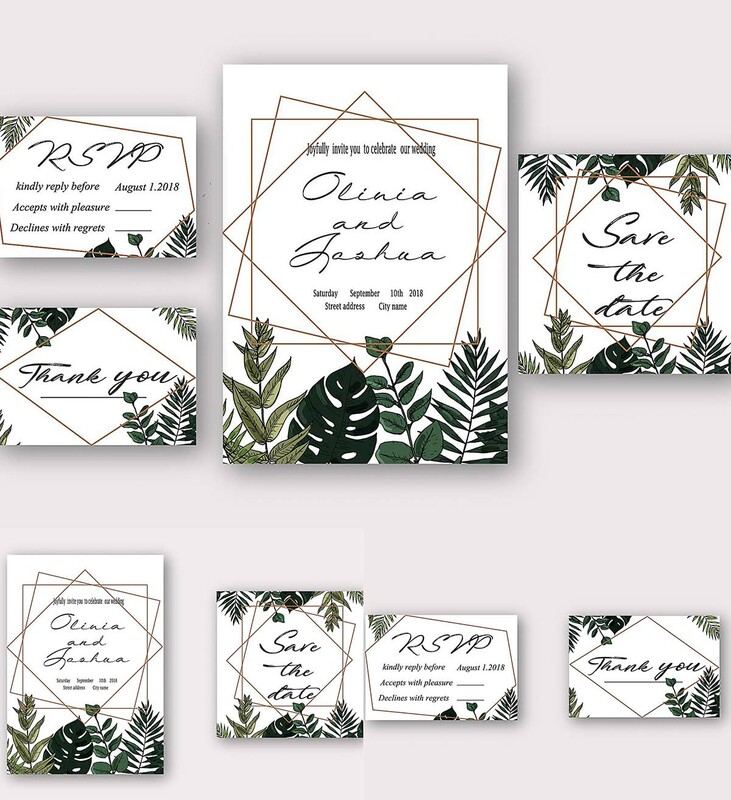 Tropical Leaves Wedding Invitation Set includes: Wedding main Invitation, RSVP, Save tha date, Thank You card. File format: .ai, .png for Photoshop or other software. 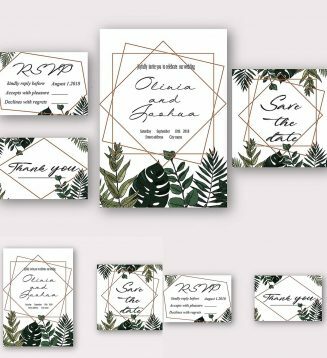 Tags: banner, eucalyptus, green, invitation wedding, leaf, tropical, wedding.